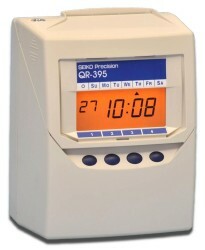 The high featured QR-395 calculating time recorder was developed for your easy payroll operation. 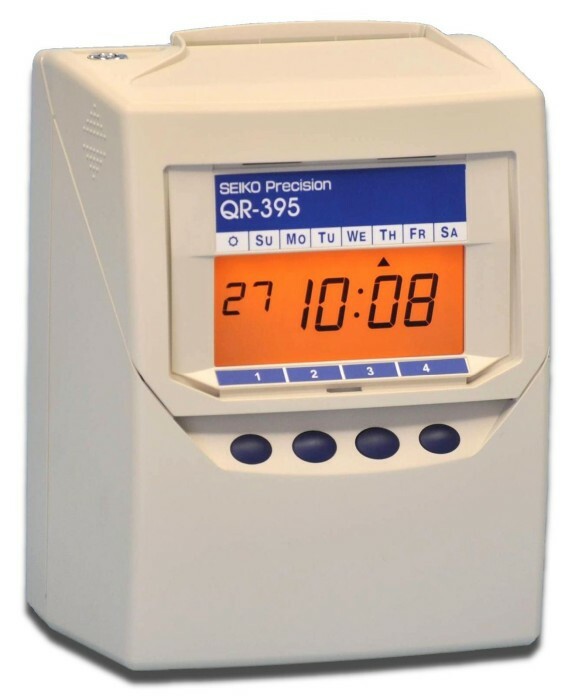 The QR-395 is the world's best featured calculating time recorder of its class. 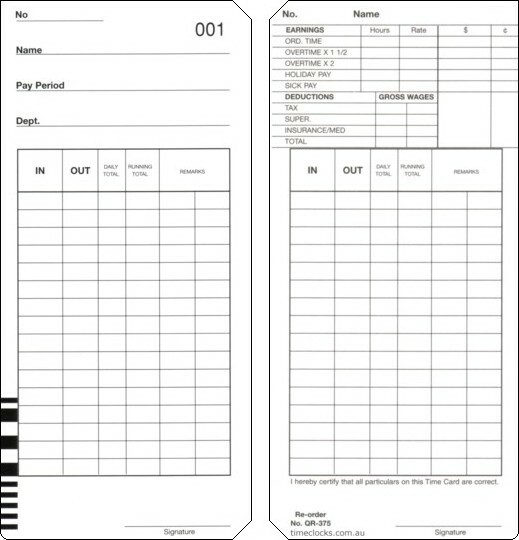 The QR-395 does not suffer from over-printing and is ideally suited for workplaces with 100 employees or less, with one or more work schedules. For workplaces with more than 100 employees we recommend one of our computer based time and attendance packages. 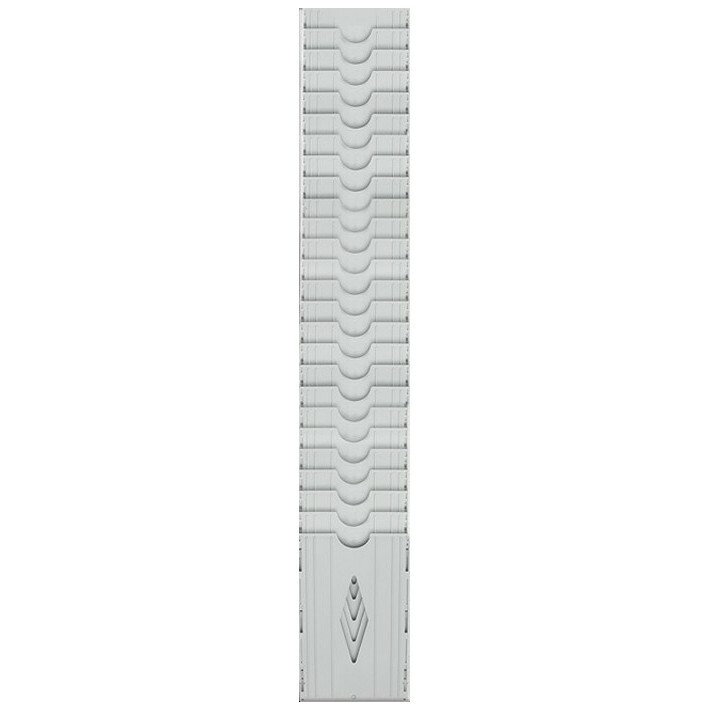 Currently available as a package including 200 payroll time cards and a 25 slot time card rack.